We’d love your help. Let us know what’s wrong with this preview of A Book of Five Rings by Miyamoto Musashi. Translated by V. Harris. 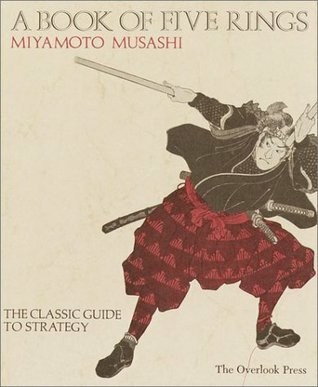 Japan's answer to the Harvard MBA...Written over three centuries ago by a Samurai warrior, the book has been hailed as a limitless source of psychological insight for businessmen-or anyone who relies on strategy and tactics for outwitting the competition. To ask other readers questions about A Book of Five Rings, please sign up.